Our first Snappy Title concert was in 2009 – who can believe it? 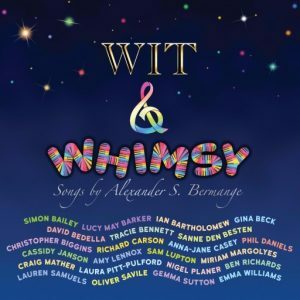 Since then we have had some fantastic concerts featuring a Who’s Who of West End talent such as Richard Dempsey, Louise Dearman, Jemima Rooper, Cassidy Janson and Jon Lee. We even had one Snappy Title compered by the legendary comedian Bobby Davro! Since then the concerts have evolved, and although we still feature many brand new songs from excellent new musicals (including world and UK premiere performances), we also like to include favourite songs from established musicals. Our latest concert, Snappy Title – No Time Like The Present, is no exception, and you will hear songs from new musicals such as Tess by Michael Blore and Michael Davies and This Will All Be Yoursby Charles Bloom alongside material from Dear Evan Hansen, Book of Mormon, Pippin,and West Side Story, and lots more. We have, as usual, a super-talented cast! This time you’ll be hearing Nic Chiapetta, Stephanie Joergensen, Jordan Langford, Nathan Lodge, Amie Miller and Maya Tether. There’s also a four-piece band. The show is on Sunday 4th March at The Pheasantry, King’s Road, London. Doors are open for pizza at 6.00 pm and the music starts at 8.00 pm. Tickets are £15 (excluding food), and all proceeds will be going to Bowel Cancer UK – a very good cause, I’m sure you’ll agree. Tickets can be booked online at https://www.pizzaexpresslive.com/whats-on/snappy-title-no-time-like-the-present-171607, or by phone from 020 7439 4962. Advanced booking is advised, as our concerts are usually sold out by the day of the concert. 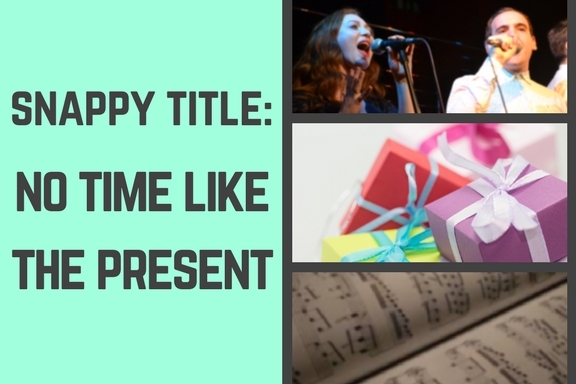 New Musicals Network are delighted to present the latest in our popular series of Snappy Title concerts No Time Like The Present. 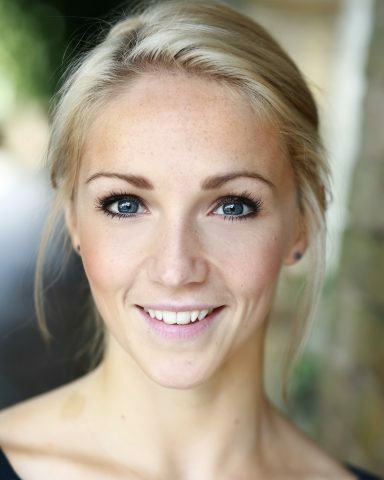 Featuring a talented cast, including Jordan Langford, Amie Miller, Nathan Lodge and Stephanie Joergensen, plus a live band, the concert will, as usual, contain an entertaining programme of well-known songs, together with an exciting array of new musical theatre songs, some of which are being performed for the very first time publicly. We very much look forward to welcoming you! Here’s a ‘Shout Out’ to composers and writers – we need new songs for our next Snappy Title concert! The next Snappy Title showcase of new musical theatre writing will be on Sunday 3rd December 2017, at The Pheasantry, King’s Road, Chelsea, London. We are looking for new songs, which can either be ‘standalone’ songs or taken from a musical (which can be one still in development, or a finished work). If the song is a standalone one, the genre should nonetheless be recognisably ‘musical theatre’. Of course, we understand that the genre is a very broad church nowadays, so we are prepared for lots of different styles! Please bear in mind the live band will be piano, bass and drums, and so your submission should be suitable for this kind of ensemble. Songs may be solos or duets; any which are written for more than two singers will not be considered. The theme for the concert is No Time Like The Present, which you may interpret as freely as you wish. Bearing in mind that the concert date is broadly within the Christmas season, you may take ‘present’ in the theme’s title to mean ‘gift’, but be aware that we are not exclusively looking for Christmas songs per se, although such songs will be considered and welcomed alongside songs which interpret the theme in a different way. Your submission must be in the form of a pdf of the score (notated in conventional notation using suitable software such as Sibelius) arranged for vocal and piano, plus a demo recording of the song in mp3 format. The demo need not be professionally produced, but the quality should be adequate for us to form a judgement of the song’s merits. Submissions which are not deemed to be of adequate presentational quality (e.g. handwritten, illegible, inaudible demos, etc) will not be considered. Please email your submission to: peter@newmusicals.org.uk. If the file size is too large to email, please contact us (using the email address above) so that we can arrange an alternative method of making your submission. IMPORTANT: Closing date for entries is midnight on Friday 13th October 2017. Only ONE song per entrant will be accepted for consideration. 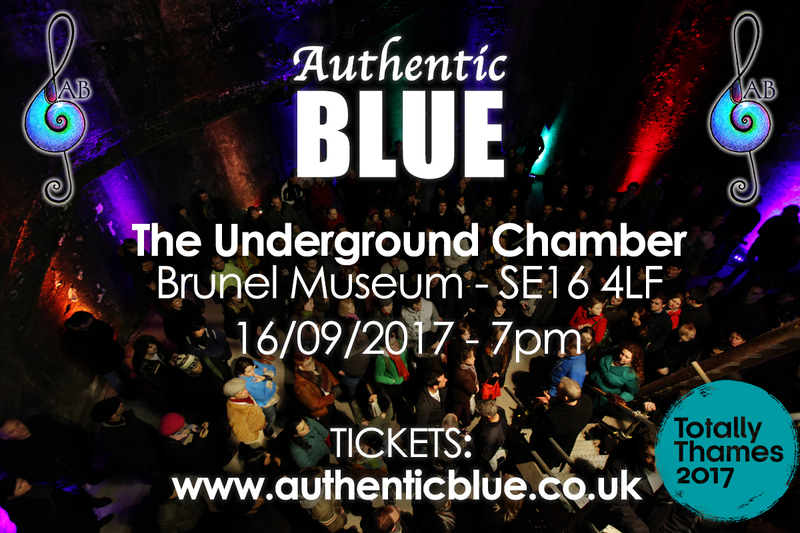 Our friends at Authentic Blue, featuring previous Snappy Title composer Tim Thomas, are doing a gig at The Underground Chamber, Brunel Museum, on 16th September 2017. Authentic Blue are unique in that they are one of the few (if not the ONLY) band which specialise in performing new musical theatre writing in a ‘band’ context rather than a traditional theatrical setting – thus bringing the richness of the musical theatre genre to a new and different kind of audience. 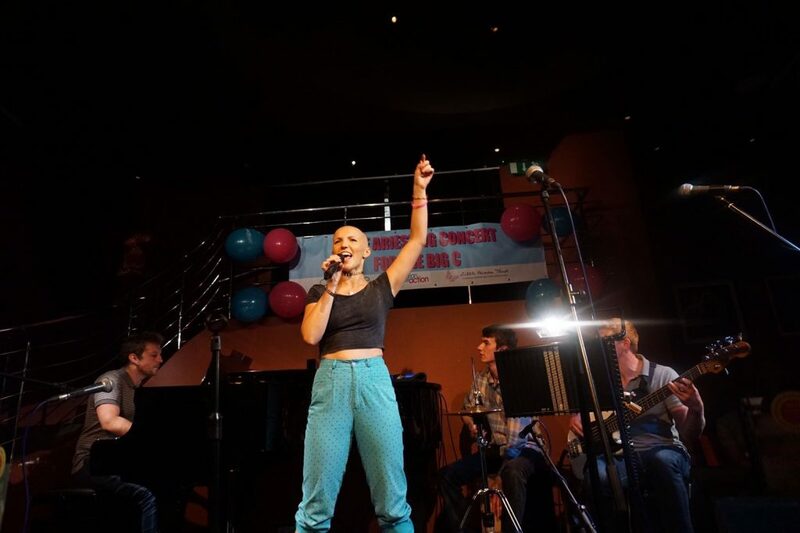 New Musicals Network are delighted to present our latest Snappy Title Spotlight event – the highly talented Suzie Aries and guests in concert, raising money for two charities, including Ovacome – a charity which supports women with ovarian cancer. After being diagnosed with a rare form of ovarian cancer, Suzie is determined to turn something negative into something positive. Following a viral video of her story and stating she would do ‘The Big Chop for the Big C’ before undergoing gruelling chemotherapy, she has also raised a lot of money for The Little Princess Trust. Suzie would also like to raise awareness to young people about the symptoms of ovarian cancer so other people can avoid going through what she has gone through. All ticket proceeds will go to Ovacome and Little Princess. The concert is on Sunday 3rd September at The Pheasantry, King’s Road, Chelsea. Tickets are £15 and all proceeds will be donated to the two charities. Composer and singer of the iconic Rainbow theme tune, Tim Thomas, spills the beans on the true nature of Zippy, one of the nation’s best-loved TV stars of the 1970s and 80s. The reformed Tim now writes songs and musicals, and appears with his talented band Authentic Blue. 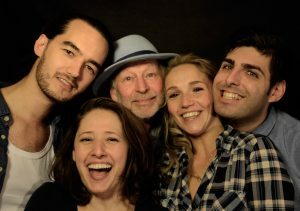 Tickets are selling for the next Snappy Title Spotlight event: Tim Thomas‘s music, featuring his band Authentic Blue, who will be performing at The Pheasantry, King’s Road, on Sunday 4th June. Creating music and musicals can be a very tough and solitary business. Why not gather a group of bright souls together to share the dream? And two years ago that’s what happened. From various quarters I met a bunch of scintillating, unusual talents, singers and instrumentalists who did not want to compromise, who wanted to aim high. Three of them, Amie Miller, Nic Chiappetta and Connor Going already knew each other from the Royal Academy of Music. Suzie Aries was queen of the cruise-ships. So, now there are now five in the band. They thought of a name – AUTHENTIC BLUE.